LONDON 16 February, 2016… Trellyz announced today the launch of the Refugee Aid App platform, RefAid (www.refaid.com) and mobile app (for Android and iPhone). 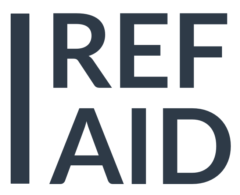 In response to the growing refugee crisis in Europe and the need for greater coordination among aid organizations that are stretched beyond way beyond their limit, RefAid was created to transform the way aid is delivered. The announcement comes at a time when previously welcoming European countries are closing their borders, in spite of the fact that there is no sign of mass migration slowing. The RefAid Platform and mobile app are launching in the UK and Italy today, and in Greece and other European over the next few weeks. Many of the largest official aid organizations in the world are participating including the British and Italian Red Cross and Save the Children. Italian aid organizations participating include ARCI, Centro Astalli, Italian Refugee Council (CIR) and some local Caritas in the areas with highest number of vulnerable migrants, and Servizio Centrale (ANCI) promoted the App to the organizations of the SPRAR. RefAid’s simple web-based content and communication system allows official NGOs, public entities and aid organizations who serve the refugee/migrant population to post aid resources by location and category (food, shelter, medical care, water, etc.) so they and other organizations can see on a map what is available where. For the first time ever there is now a single source of information and resources for refugees and a single interface for the organizations to make their resources available. When aid organizations post their aid in the RefAid platform, the information instantly appears in a location based list and map view in the RefAid mobile app for refugees. Organizations can send geo-targeted push notifications to migrants in a certain location for urgent information. The platform will also show aid organizations with live information about where there are concentrations of migrants (anonymously), those using the RefAid app, so they can know where aid is most needed.